So, how does orthodontics work? Generally, orthodontics gradually move teeth and even reshape the jaw (non-surgical) to correct malocclusions or misaligned teeth. With the use of braces or Invisalign® clear aligners, we create a gentle force that over time moves the teeth into proper alignment. Whether you live in Fort Worth, Keller, Burleson or Arlington, our Orthodontists can give you the beautiful smile you have always wanted all while correcting your bite! 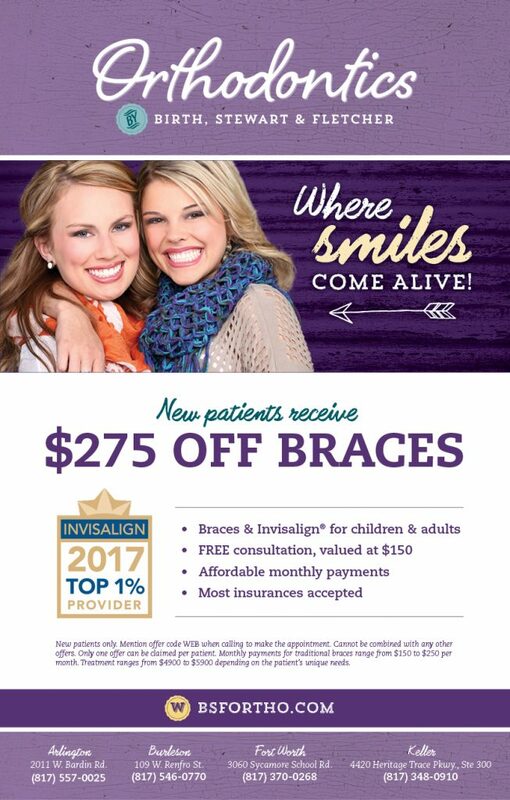 For Orthodontics in Keller, Fort Worth, Arlington, or Burleson, Visit Us Today!